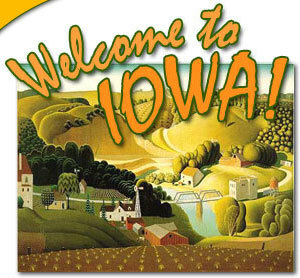 Iowa, a Midwestern state, sits between the Missouri and Mississippi rivers. It’s known for its landscape of rolling plains and cornfields. In the capital, Des Moines, are landmarks from the gold-domed 19th-century capitol to the modern Des Moines Art Center, noted for its contemporary collections and Pappajohn Sculpture Park. The Cedar Rapids Museum of Art houses paintings by native Iowan Grant Wood. 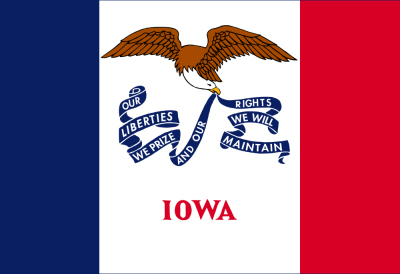 Iowa was admitted to the union as the 29th state on Dec. 28, 1846. As a Midwestern state, Iowa forms a bridge between the forests of the east and the grasslands of the high prairie plains to the west. Its gently rolling landscape rises slowly as it extends westward from the Mississippi River, which forms its entire eastern border. The Missouri River and its tributary, the Big Sioux, form the western border, making Iowa the only U.S. state that has two parallel rivers defining its borders. Iowa is bounded by the states of Minnesota to the north, Wisconsin and Illinois to the east, Missouri to the south, and Nebraska and South Dakota to the west. 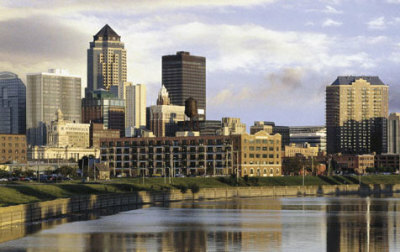 Des Moines, in the south-central part of the state, is the capital. The state name is derived from the Iowa Native American people who once inhabited the area. Clear Lake, Iowa, was the site of the infamous plane crash that killed the 1950s rock icons Buddy Holly, Ritchie Valens, and the Big Bopper. A culture known as the Effigy Moundbuilders inhabited northeastern Iowa between 1400 and 750 B.C. The more than 200 mounds of earth that remain within Effigy Mounds National Monument—several shaped like animals such as bears, birds, and bison—were believed to have been used for ceremonial purposes or to track celestial events. Sergeant Charles Floyd was the only member of the Corps of Discovery to die during the Lewis and Clark expedition exploring the unchartered West. On August 20, 1804, he succumbed to infection caused by a ruptured appendix. A 100-foot obelisk marks his final resting place in Sioux City. When the Winnebago Indians were forced to leave their homeland in Wisconsin in 1840, the U.S. government offered the tribe protection on their new temporary land in Iowa from other tribes and illegal settlers. Completed in 1842, Fort Atkinson was the only fort built by the United States to protect one Indian tribe from another. Since 1972, Iowa has kicked off the presidential primary process by holding the nation’s first caucuses. When a largely unknown Jimmy Carter became the frontrunner in the 1976 Democratic caucus, the national attention he received ultimately helped him to win the presidency—and solidified the importance of the Iowa caucuses. 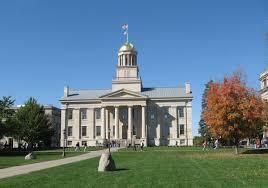 Iowa is the largest producer of corn in the United States. 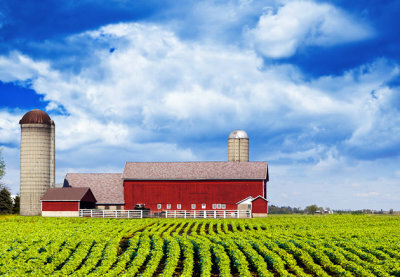 In 2011, farmers harvested more than 2.3 billion bushels.